World Polio Day: Should you use the polio drop or injection? Polio is infectious viral disease that affects children under the age of 5. There are two different forms of the polio vaccine - OPV and IPV. Inactivated polio vaccine, given by injection, is a more effective vaccine. IPV supplements the oral polio vaccine (OPV) to get rid of polio virus. World Polio Day, observed on September 24 each year, is the world's largest polio awareness campaign with events organised across the globe to commemorate the fight against polio. Polio or poliomyelitis is an infectious viral disease that affects children under the age of five. The viral illness can cause paralysis, breathing difficulties and sometimes death. As of now, there is no cure for polio. The best way of preventing polio is by immunising your child with the polio vaccine at the right time. There are two different forms of the polio vaccine – oral polio vaccine (OPV) and inactivated polio vaccine (IPV). Which of the two you should use to safeguard your baby from deadly virus? 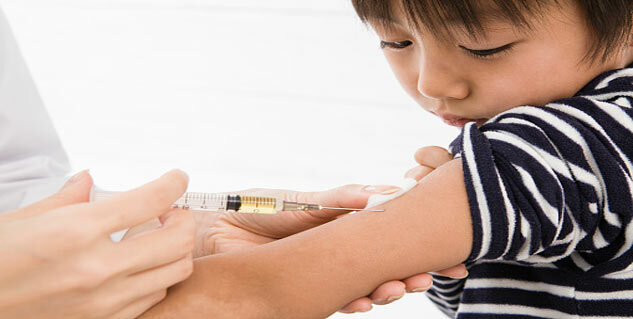 Given as oral drops, oral polio vaccine (OPV) is a vaccine virus that helps body develop antibodies against the disease. It protects not only the person who has taken them besides others around. On the other hand, and inactivated polio vaccine (IPV) is a more effective virus vaccine given by injection and only protects the vaccinated person. Polio is a highly infectious viral disease that spreads through the faeces of infected people. IPV ensures that your child is safe from polio or poliomyelitis. One in a million people who receive OPV (a live, but diluted, virus vaccine) may contract polio. Inactivated polio virus (IPV) supplements the oral polio vaccine to get rid of polio virus. India is a polio-free nation now, but polio still exists in other countries of the world and there remains a continuing risk. In view of eliminating this risk, all children under the age of five years must receive the inactivated polio vaccine (IPV) besides oral polio vaccine (OPV). Read more articles on Polio. What research is being done on Polio?